The Sister Adele Memorial Scholarship Fund was named after Sister Adele Mansfield, O.S.B. of the Queen of Angels Monastery, Mt. Angel, Oregon. She was an invaluable member of CASA of Oregon's Board of Directors, where she served in numerous capacities from 1990 to December 2001. Her mission in life was serving the poor and homeless. In 1988, Sister Adele played a key role in establishing adequate housing for farmworkers by opening St. Joseph's Shelter in Mt. Angel, Oregon. In honor of Sr. Adele, this scholarship provides supplementary assistance to qualified individuals of farmworker households interested in beginning or continuing their post-secondary education. To encourage and provide individuals of farmworker families that live in Oregon with the opportunity to further their academic or technical education. Individual awards will range from $1,000 to $2,500 per scholarship winner. A total award amount of $30,000 will be awarded in 2016. 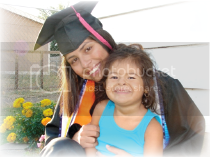 The Sister Adele Memorial Scholarships are made possible by CASA of Oregon a private non-profit, through its commitment to improve the quality of life of farmworkers and their families. 1) Describe your life as a member of a farmworker family and the obstacles you have had to overcome. How has this influenced you to pursue a higher education? 2) Do you believe that the quality of life of farmworkers in the United States has improved or worsened in the past 20 years? (Quality of life factors can include: Health, Housing, Income, Social and Religion amongst others). Please consider the quote below as you prepare your answer. How to Apply: There is no application fee. Applicants must submit a complete Sister Adele Scholarship application and required accompanying documents all at one time. For additional information, please contact Edward Gutiérrez at (503) 537‐0319 ext. 330 or edward@casaoforegon.org. Applications must be postmarked on or before April 15, 2016. Hand delivered applications must be delivered by 5:00 p.m. on April 15, 2015. Late applications will not be considered; no exceptions. Click Here for Additional Scholarship Resources Available!! Note: Students can filter through the OSAC catalogue and remove the FAFSA requirement in the search. The results for each scholarship will specifically state whether U.S. citizenship is required or not.